For young companies in the tech industry, the initial stages are the most challenging, especially on the financial side. Whilst it is tempting to narrow your focus, purchasing small and planning to integrate systems as your company grows, what might lower your expenses in the short term can often cost you more over time. Finding ways to save on electricity can significantly reduce our business costs. This means choosing energy-efficient appliances and sources for your facilities, data centers and offices including air conditioners, solar panels, LED lights and so on. Making smart decisions related to office equipment, such as deploying laptops instead of desktops, would also help save energy. Apple’s data centers are based on the same cost-cutting measure. They are 100% powered by renewable energy – wind, hydro, solar and geothermal. The company’s ultimate goal has been to power all facilities by these energy sources, which are one of the most cost-effective sources of new generation. There are numerous tax credits and incentives available to companies today. However, it can be difficult for a company to identify and take advantage of all the available incentives, according to ADP.com. For example, when your business expands, you may want to monetize development incentives and capture hiring tax credits when you expand your workforce. Billions of dollars are available in tax savings across the nation. The approval of Samsung’s $7 million incentive by the San Jose City Council is a reminiscent of the tax credits available. The Korean tech-giant will utilize the incentive to expand its R&D headquarters in the city. Apart from development tax credits, Samsung will also receive cash reimbursement for employee training. Storing files and company data in the cloud is a great practice for cutting costs on hard drives, USBs and other storage devices, and sharing files within the organization, as well. There are countless options today for cloud stage services; you just need to choose something that falls in line with your company’s unique needs. Options like Box, DropBox and Google Drive can work in everyday instances, but it’s certainly worth checking out WorkDay, SimpleHelp, MuleSoft and other advanced cloud service solutions. Snapchat, one of the hottest startups in the tech industry, leveraged an existing service when it built the technology that enables users to send over 400 million images, video messages and pictures, every day. Rather than utilizing Amazon web services of building its own cloud infrastructure, SnapChat constructed its app using Google’s App Engine, a similar service provided by Google. Google’s cloud offering has a free quota per app per day that’s enough for many small companies, with reasonable rates for those who need more. 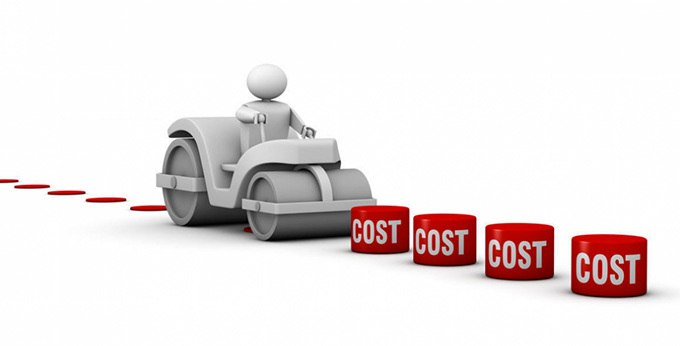 Cutting costs is something all tech companies strive more. These initiatives could help you to keep your expenses to a minimum while enabling you to effectively expand your company’s revenue growth.